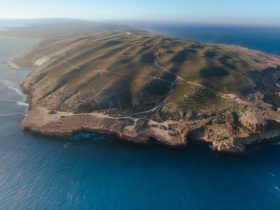 Situated within the Shark Bay World Heritage Area, Dirk Hartog Island Eco Lodge is one of Australia’s emerging nature based tourism destinations. 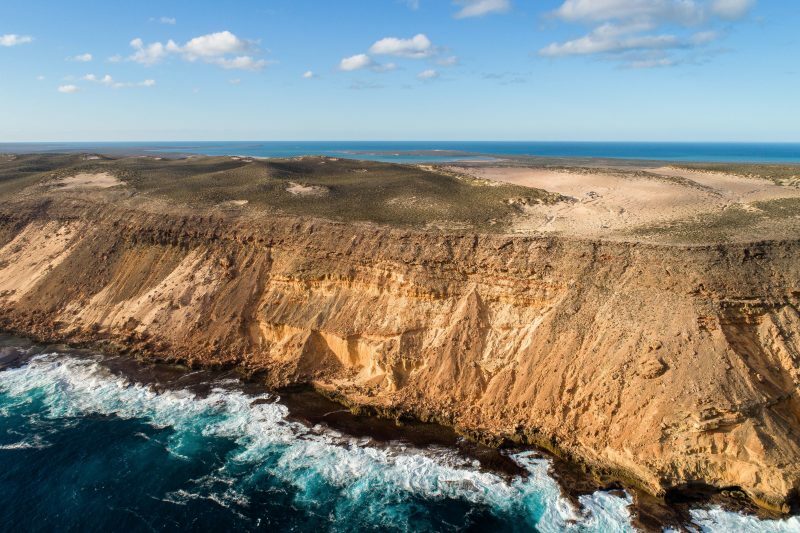 The island is the site of the first European landing on Western Australian soil in 1616 by Dutch sea Captain Dirk Hartog. 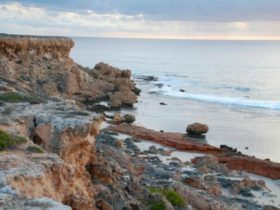 Rugged cliffs, tranquil beaches, amazing landscapes and unique fauna make up its natural beauty. 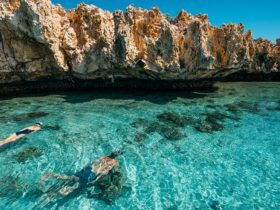 The turquoise waters surrounding the island offer experiences for all visitors. Dugongs, loggerhead turtles, humpback whales, tiger sharks, giant manta rays and whale sharks all visit this marine park. 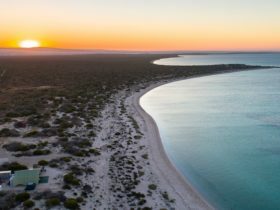 Embracing the dramatic beauty of the Shark Bay World Heritage Area, the Eco Lodge is a rustic retreat where guests can ‘Escape and Discover’. The six guest rooms and private villa blend simple elegance with luxury and comfort, offering stunning ocean views. The Eco Lodge is a destination in which to relax and reconnect with yourself, family and environment. 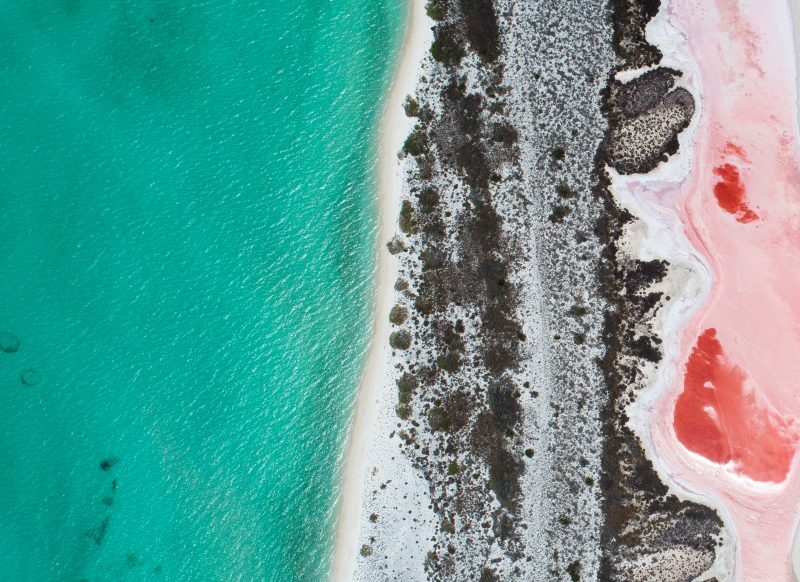 Denham, the gateway to Dirk Hartog Island is approximately 840 kilometres north of Perth and takes about ten hours to drive or two hours to fly to Denham. Transfer from Denham to the island will be arranged upon booking. 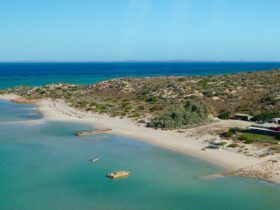 The rustic luxury Dirk Hartog Island Eco Lodge is located only 30 metres from the ocean with stunning panoramic views of Shark Bay. Equipped with a bar area, pool table, open kitchen, outdoor dining area and private library, the Eco Lodge is a home-away-from-home waiting to be enjoyed as the fresh ocean air fills its walls. Spend days exploring the calm island waters by kayak or stand-up paddle board then relax by your very own fire pit in the evening. The Eco Lodge provides a comfortable holiday setting in an exclusive yet relaxed environment. The lodge provides accommodation consisting of six double/twin rooms with en suites. The Ocean Villa option offers a self-contained villa providing a great getaway for small groups of friends and family looking for an island adventure. Located just 50 metres from the ocean, the villa is the perfect base to explore the island by bringing your own boat or four wheel drive. Features of the villa include a fully-equipped kitchen, outdoor dining area and barbecue facilities to enjoy your fresh catch of the day. 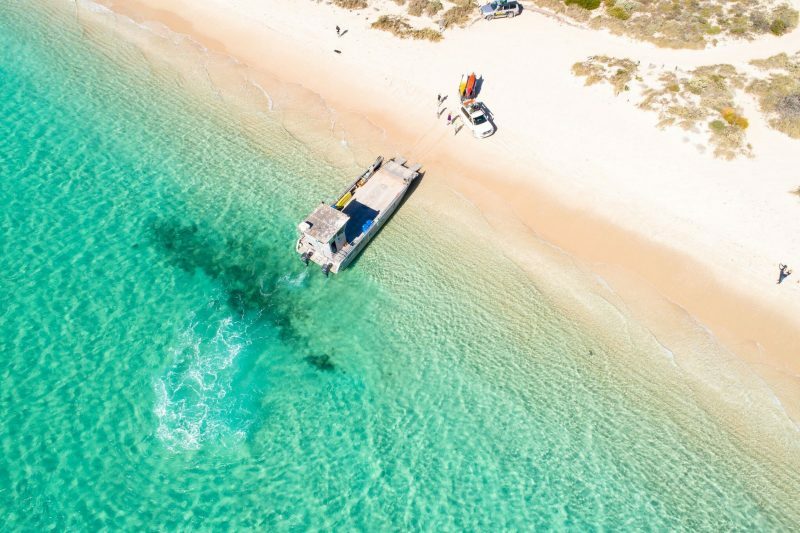 Escape the mainland in your own four-wheel-drive and discover Dirk Hartog Island’s unique wildlife, natural beauty and spectacular landscapes. 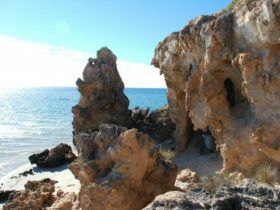 The Homestead Camping Grounds are located on the east coast of Dirk Hartog Island approximately 20 kilometres north of the barge landing area at Cape Ransonnet. They have two camp-kitchens available in Homestead Bay only 50 metres from the ocean. When camping at Salty’s Homestead Campgrounds you have access to one of the camp kitchens which is a shared facility with other campers. Buddy’s Beach Camp gives you access to an exclusive private camp kitchen just for those that have booked that campsite, also with shared bathroom facilities, including hot showers and flushing toilets. 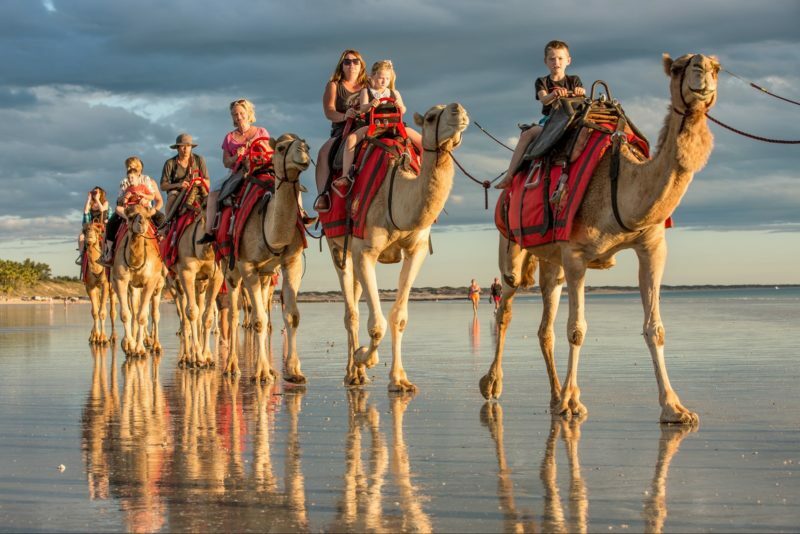 Packages range from AUD660 to AUD1338 at the Eco Lodge, Ocean Villa and Homestead Camping. Prices vary for two to 12 people.